WorldSBK's dominant champion, Jonathan Rea, again topped the timesheets as the series' concluded its European winter testing season before heading Down Under next month. WorldSBK and WorldSSP riders completed the final day of testing around Autodromo do Algarve in Portimao, which hosted from 27th-28th January the final two-day European preseason test before the 2019 MOTUL FIM Superbike World Championship season will kick off in Australia next month. 💥Highlights: Action-packed test at the Portuguese rollercoaster🇵🇹! 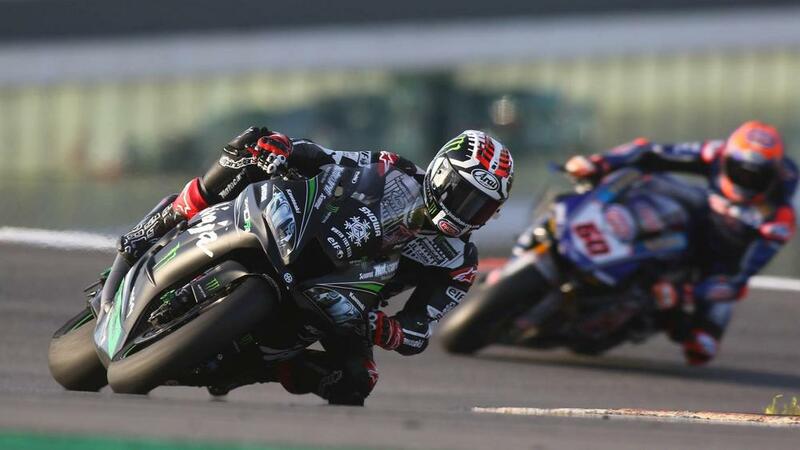 But in the end, it was reigning World Champion Jonathan Rea (Kawasaki Racing WorldSBK Team) who came out on top at the end of the two days, despite suffering a small crash on the final minutes of on-track activity. Working on finding a good base setup for his Kawasaki ZX-10RR, the Northern Irishman was happy with the improvement made with his crew during the off-season, and he now looks forward to Australia to see where they really stand. On the other side of the garage, Leon Haslam was more than pleased in ending the European Winter test in fourth position. Returning to the WorldSBK championship after four years, the British rider was able to find back his confidence with the WorldSBK machine over the four days of testing at Jerez and Portimao. In the Aruba.it Racing – Ducati garage Chaz Davies and Alvaro Bautista were able to make consistent progress working on the base setup of the all-new Ducati Panigale V4 R. Testing different tires and many aspects of his new bike, Alvaro Bautista set an outstanding fastest lap time of 1’41.934, taking the third spot of the timesheets, on a race track with such unique features, that he barely knows. Teammate Chaz Davies who was still struggling with back pain put in 42 laps on the V4 R today and finished a tough test in 11th position. Testing is over in Portimao!